MODEL HOME FOR SALE! 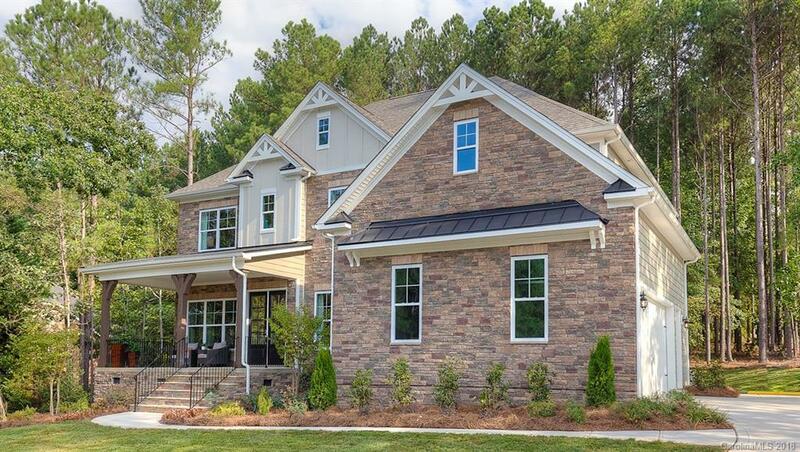 Our highly sought after "Jenna" model home is now available! Enjoy relaxed lake living just 20 mins from uptown, the airport, and other major Charlotte roadways! This home is a tremendous value with exquisite upgrades! The "Jenna" is a master up, open concept floor-plan with large gourmet kitchen with "Glacier Gray" maple painted cabinets, gas cooktop, built in wall oven, bright quartz countertops, and an oversized island which opens to the large family room with gas log fireplace surrounded by cabinet built ins. Enter through 8ft heavy double doors into an expansive foyer with a dining room with coffered ceiling and formal living area. No detail spared in this home with 10 ft ceilings, 8 ft doors, expansive tile work, granite in all baths, heavy millwork, upgraded 5" wide hardwood floors, gorgeous covered porch, and full landscape package! One of our last side load garage elevations on a large homesite! This home is a must see!